MaryEllen Tribby led the Early to Rise team from May 2006 to January 2010 as Publisher & CEO. Her extensive publishing experience includes serving as President of Weiss Research, managing divisions of Forbes, Globe Communications, Times Mirror Magazines and Crain’s New York Business. Jon Herring is the former Health Editor and copywriter for Early To Rise. While his formal education is in finance, Jon has invested over 3000 hours in the study of health and nutrition. He is deeply motivated to provide people with the information and the inspiration to live a long and active life, filled with energy and free from disease. Bob Bly is an independent copywriter and consultant specializing in business-to-business and direct marketing. He has been hired as a consultant by such companies as Sony, Chemical Bank, J. Walter Thompson, Westinghouse, and Prentice-Hall. Charlie Byrne is Senior Copywriter and Editorial Director for Early to Rise. Charlie spent the earlier part of his business career as a systems analyst, project manager and consultant in New York City for Fortune 100 companies including Philip Morris, Digital Equipment, and Citicorp as well as New York University and Columbia University. John Carlton slyly refers to himself as “the most ripped-off copywriter on the Web”, and almost no one on the inside of the online entrepreneurial world disagrees. His sales copy has been stalked for decades by many of the best marketers both online and offline… and they freely admit using John’s ads as templates for their own breakthrough pitches. Marc Charles is often referred to as “The King of Business Opportunities”, and he has launched more than 40 successful businesses over past 22 years (and advised on many more). One business (ad rep agency) produced more than $6 million in sales in 36 months with a start-up budget of less than $2000. E. Alan Cowgill is the owner of Colby Properties, LLC. and President of Integrity Home Buyers, Inc. Alan is a full-time Real Estate Investor, investing in single family and small multi-family properties in Springfield, Ohio. The Billionaire In You is a system of principles developed from Bob’s unique experience being involved with four Billionaires over the past 30 years. Brian Edmondson is an author, speaker, and Internet entrepreneur specializing in generating website traffic and building responsive email lists. He is also the director of ETR’s Internet Money Club. Justin Ford is an active investor in real estate and global stock markets. He is also a veteran financial writer. He has published, edited and written for over a dozen international investment newsletters, including launching the US version of the Fleet Street Letter, the oldest continuously published newsletter in the English Language. Andrew Gordon is an editorial contributor for Early To Rise Investor’s Edition. He has 20 years of experience working in infrastructure and environmental projects around the world. When he wasn’t traveling, he taught marketing and finance courses at the state university of Maryland. Don Hauptman was an award-winning independent direct-response copywriter and creative consultant for more than 30 years. 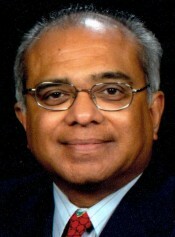 Dr. Rao received his Ph.D. in Marketing from the Graduate School of Business, Columbia University. He has an M. Phil. in Marketing from the same school in addition to an M.B.A. from the Indian Institute of Management, Ahmedabad. His undergraduate training was in Physics at St. Stephen’s College, Delhi University. In many of the 34 years since Clayton Makepeace began his career, his marketing brainstorms and sales copy have generated over 100 million dollars in sales for his clients – all told well over a billion dollars so far! Since 1991, Alex Mandossian has generated over $233 million in sales and profits for his clients and partners via’electronic marketing’ media such as TV Infomercials, online catalogs, 24-hour recorded messages, voice/fax broadcasting, Teleseminars, Webinars, Podcasts and Internet Marketing. Michael Masterson has developed a loyal following through his writings in Early to Rise , an e-newsletter published by Agora, Inc. that mentors more than 450,000 success-oriented individuals to help them achieve their financial goals. Charles Newcastle is a lifelong entrepreneur and avid explorer. 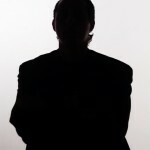 He is often referred to as a renaissance “money man” because of his ability to bring people, capital and deals together. He has asked that we protect his anonymity so that he may have the freedom to continue discovering contrarian and off wall-street profit opportunities uninterrupted. Inspired by his high school economics teacher, Rick Pendergraft fell in love with the markets at an early age. He entered his first investing competition at 17, and opened his first brokerage account before he finished college. At the age of 23, on the third options trade he had ever placed, Rick turned $1,800 into $22,000 in less than a week, when the company he bought became the target of a takeover. He admits it was a stroke of luck, but it was a memorable education as to the leverage that options can provide. Andrew Palmer is an experienced online business builder who pioneered many of the marketing strategies and name accumulation techniques that have since become best practices in the publishing industry. An innovator with a proven track record of successfully managing multi-channel marketing campaigns, this pacesetter has cross-functional expertise in Direct Response Marketing, Email Marketing, List and Relationship Building, Search Engine Optimization (Organic & Paid), Affiliate Marketing, Market Analysis & Competitive Intelligence and Web Analytics & Reporting. Mr. Palmer founded the position of Director of E-Commerce/Web Marketing for Agora Publishing in 2000. He was brought in to create an Internet business for Bill Bonner’s initial online venture The Daily Reckoning. The incredible success of The Daily Reckoning and Agora e-letters that followed… forever changed direct response publishing. Mr. Palmer was also responsible for all online advertising campaigns, websites, email list accumulation, and reporting & analysis for Agora Financial, until his departure at the end of 2006. Mr. Palmer is an in-demand expert speaker on “Direct mail on the Web” and the “Free Content Model” of Internet Marketing. He has acquired—this is without exaggeration—more than one million “opt in” names and successfully monetized them online for millions. A licensed California attorney, Mr. Palmer gave up the practice of law to enter the fast paced field of online/email marketing. Experienced in providing executive level assistance for law firms, non-profits and publishing companies, he deems leadership, management development, and innovation of marketable web initiatives as his strengths. Mr. Palmer has advanced degrees in Law and International Business. His career has taken him throughout Europe and Asia, with extensive time developing new markets in China. Cameron Johnson started his first business at the tender age of nine. By age 12, his company was selling Beanie Babies™ over the Internet and he netted $50,000 that year. At the age of fifteen, he became an advisory board member of a Tokyo-based company and published his autobiography in Japanese which became an instant bestseller. At the age of 23, Cameron has founded and sold more than a dozen successful businesses and has been featured in more than 250 media outlets worldwide including Newsweek, BusinessWeek, the New York Times, USA Today, CNBC, ABC, and MSNBC. He’s served as a consultant to several Fortune 500 companies and is a frequent speaker to a wide-range of audiences including corporate audiences, entrepreneurial boot camps, and even high schools and colleges. In January, 2007, his new book titled You Call the Shots: Succeed your Way — And Live the Life You Want – With the 19 Essential Secrets of Entrepreneurship was released by Simon & Schuster and is available in stores worldwide. Cameron resides in Roanoke, Virginia. Thomas Phelan offers a unique blend of expertise regarding the Self-Directed IRA and 1031 Exchanging including the purchasing of foreign real estate using one or both of the latter. Thomas Phelan’s articles have been published by ETR, Escape Artist, International Living and the Wall Street Journal and he currently speaks on these most important subjects of the Self-Directed IRA and 1031 Exchanging for International Living in Mexico, Panama, Honduras and Buenos Aires to name a few of the countries he has visited. Thomas has been in the real estate and financial business for over 25 years. He began his career with a degree in Law. He has held a Series 7 Stock Broker’s License while working for Smith Barney in New York. He has held various Insurance Licenses and Real Estate Broker Licenses in California, Colorado, Wyoming and New York. Since 1999 Thomas has been a Certified 1031 Exchange Specialist. He was a Representative for Starker Services and currently represents Asset Preservations, a national 1031 Exchange Intermediary. Thomas conducts IRA and 1031 Exchange Classes for numerous real estate firms including: Coldwell Banker, Re/Max, Century 21, Prudential and ERA. Thomas wrote: “How To Buy And Sell Real Estate And Never Pay Taxes (legally)”©2003“, a definitive work on the dynamics of 1031 Exchanging especially suited for Realtors®. The foreword is written by real estate legend Ron LeGrand who considers Thomas the Leading Expert in the 1031 Exchange field. In 2002 Thomas created a seminar based on The Myths of the Self-Directed IRA. Soon Thomas was being invited to speak around the country about this most misunderstood and underutilized controversial subject. Thomas created the first Self-Directed IRA/SEP Wealth Building Boot Camp that specifically addresses the issue of what and how Non Traditional items, especially real estate (including foreign real estate) can be placed in a Self-Directed IRA, SEP, Solo 401(k) or the brand new ROTH 401(k). Thomas is editor of ETR’s Million Dollar IRA, 1031, and Instant Tax Relief programs. Buck Rizvi will show you how to invest time in a business that can actually SELL for a multi-million dollar price tag (if you want) or pass down to your children, creating a true financial DYNASTY. But don’t worry – it can also be making profitable sales within the first couple of DAYS! He’s the only person who can tell you the absolute best way to tap into a gigantic 23.8 BILLION DOLLAR “niche” market! Richard Schefren has offline built, run and sold multimillion dollar businesses in the fashion industry, music industry, and the hypnosis industry. He’s been profiled in numerous media including the front page of The Wall Street Journal, Business Week, CNN news, Fox News, and dozens hundreds of other TV, radio, magazines and newspapers. Rich has continued his offline success online. He currently has over 70 niche specific product sites, and has orchestrated teleseminars with marketers like Jay Abraham, John Cartlon, and many others that individually have grossed as much as $2.5 million. Currently Rich maintains an elite marketing coaching program, where many of today’s top internet marketers and service providers are among his clientele. James Sheridan’s Instant Internet Income home-study program has been one of the top-selling “how-to” courses on the internet, with over 10,000 satisfied customers! And, no, he didn’t make his money from selling this home-study program… He made some, sure, but it’s a drop in the bucket compared from what he’s made using his internet marketing strategies. In addition to that James’ written work has been changing lives in several countries around the world since 1999. Not only is he a published author. He is a businessman, real estate investor and a regular successful trader of worldwide currencies, futures and commodities.